Camilleri, D. Stojanovic, D.Krstic (J. Axiak), C. Bugeja, T. Vella (C. Pace Stellini), J. Cefai Bonnici (R. Buttigieg), O. Spiteri, J. Saliba, M. Stojanovic, J. Cefai Farrugia, M. Xerri. Xuereb, S. Sillato, C. Gafa, F. Mumford, O. Farrugia, M. Buttigieg, M.P. Mumford, J. Mifsud, F. Zeqiri (J. Cutajar), J. Buttigieg, D.C. Njoku. 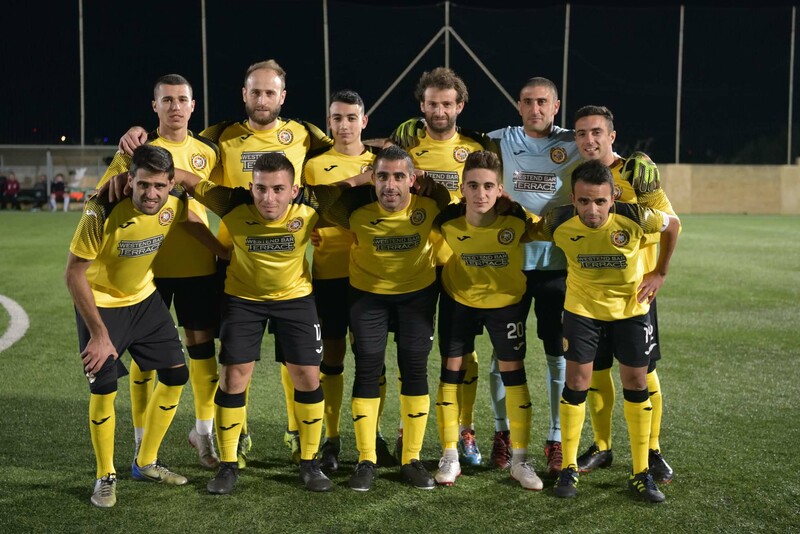 Xewkija Tigers started their defense of the BOV GFA Cup honour won last season with a win over second division side Qala Saints. This was the first match from the quarter final stage of the competition where Xewkija struggled more than expected to obtain the qualification to the semi-finals. Xewkija, who are going through a good moment of form, had several changes in their starting lineup from their typical formation as coach Jesmond Zammit gave an opportunity to some players who find little playing time in the championship matches to earn some match practice. 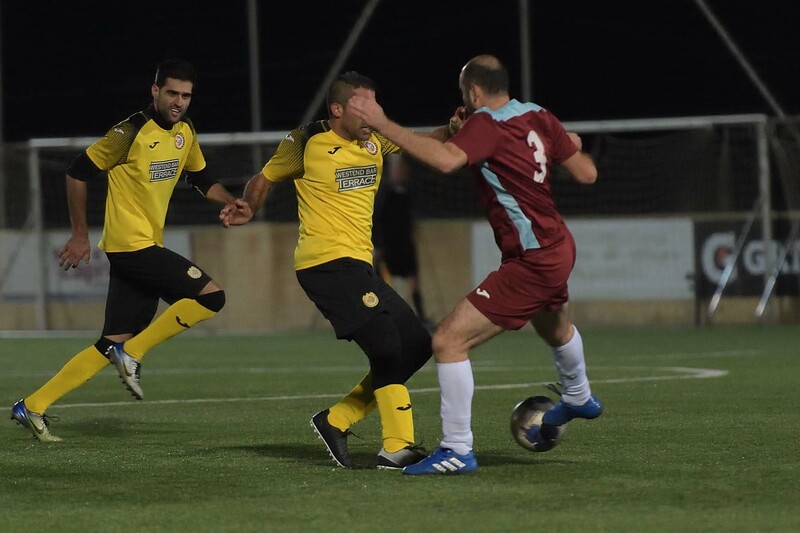 As a result Xewkija failed to express the superiority over their opponents and only managed to make sure of the win with two goals scored during the final stages of the encounter. Qala, who suffered a defeat in their previous match, tried hard to be serious challengers and managed to share play for most of the time in the midfield. 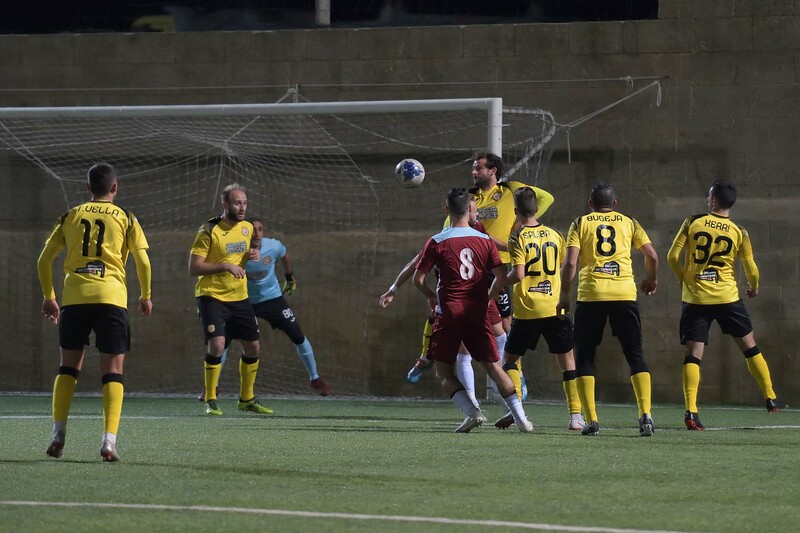 However, they found it extremely difficult to create danger to Xewkija’s goal and did not manage to recover the goal conceded during the opening minutes of the encounter. Qala created a dangerous action in the second minute of play ut a shot by Martin Buttigieg ended wide. 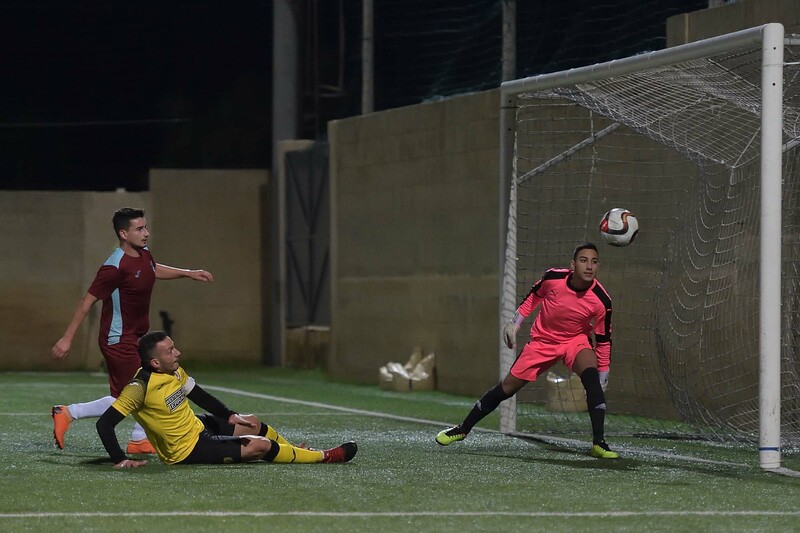 Xewkija opened the score in their first serious action inside Qala’s area when Thomas Vella took the ball following some hesitation by Qala’s defense, lobbed the ball over a defender and netted form close distance. Qala tried to produce a reaction while Xewkija administered play with authority. On 23 minutes Qala’s Fatos Zeqiri operated a personal action from the left flank but he was denied from concluding towards goal as central defender Darko Stojanovic cleared the ball to a corner. Xewkija went again close to scoring on 27 minutes when skipper Joseph Cefai entered Qala’s area but his attempt was stopped by the post. Qala had their best opportunity to level the score on 37 minutes but a strike by Fatos Zeqiri was well saved by goalie Leonard Camilleri. Two minutes later Xewkija went again close to scoring through a shot on the run by Thomas Vella that ended over the crossbar. During the opening minutes of the second half Qala continued to be more offensive in an attempt to recover the deficit and on 48 minutes a shot by Michael Mumford following a cross by Fatos Zeqiri was deflected to a corner. 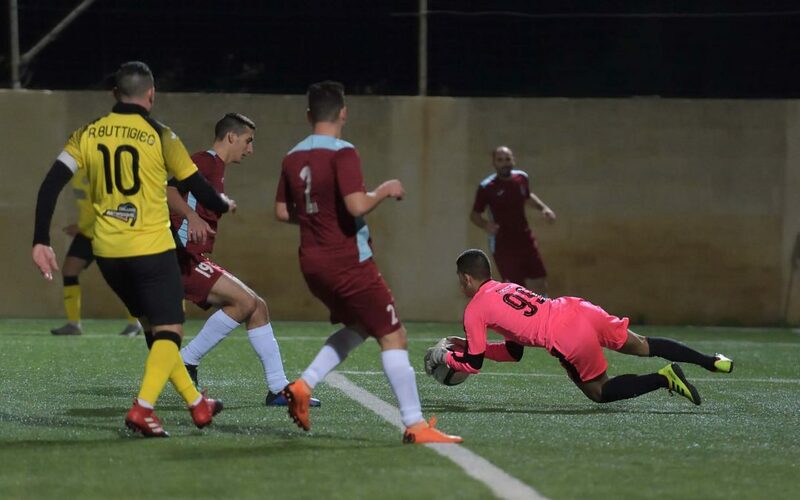 On 64 minutes Qala’s keeper Omar Xuereb saved with difficulty to a corner an effort by Thomas Vella following some hesitation by Qala’s defense and from the resultant corner action, the corner kick by skipper Joseph Cefai was cleared with difficulty to another corner by Qala’s keeper. One minute later Xewkija were again unlucky when a strike by Christian Bugeja following a clearance by Qala’s defense hit the post. Xewkija practically made sure of the qualification with the second goal that arrived on 79 minutes when a cross-shot by Jake Saliba surprised Qala’s defense and ended at the far post. Xewkija went again close to scoring on 86 minutes but a strike by substitute Rodney Buttigieg was saved to a corner by goalie Omar Xuereb. Xewkija made the final score 3-0 on 89 minutes through a fine strike by substitute Carmelo Pace Stellini that ended out of the reach of the goalkeeper.